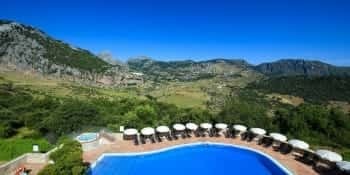 The destination of choice for many Spaniards and foreigners alike, seeking to spend their summer beach holiday in exclusive surroundings. Its geographical location at the mouth of the Piedras River gives this area of outstanding natural a temperate climate all year round. 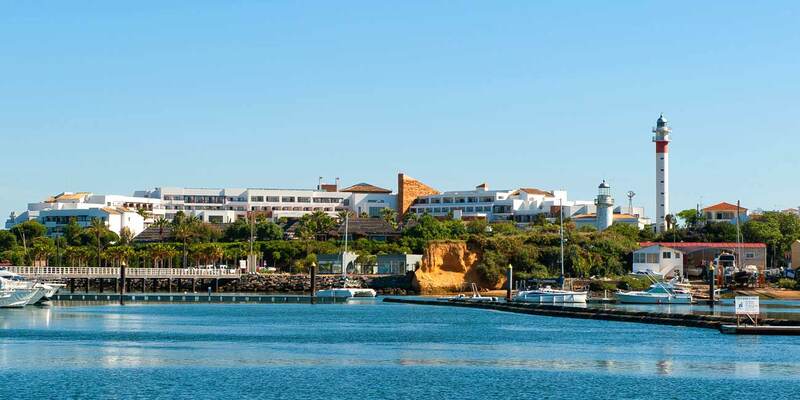 What used to be a tiny fishing village has today become a major tourist centre on Huelva’s Costa de la Luz, where visitors can find a wide range of interesting things to see and do. Swim from unspoilt beaches. Explore trails through pine groves and wetlands on foot or horseback. Observe a wealth of flora and fauna from numerous viewpoints. Play golf at one of Europe’s best courses. And tempt your taste buds by savouring the area’s renowned white shrimp and many other delicacies. One of the greatest attractions of El Rompido is its natural surroundings with unique characteristics. 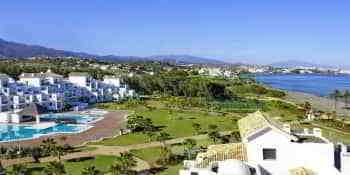 You can enjoy the whole area through activities such as swimming, hiking, horse riding and bird watching. Flecha del Rompido. 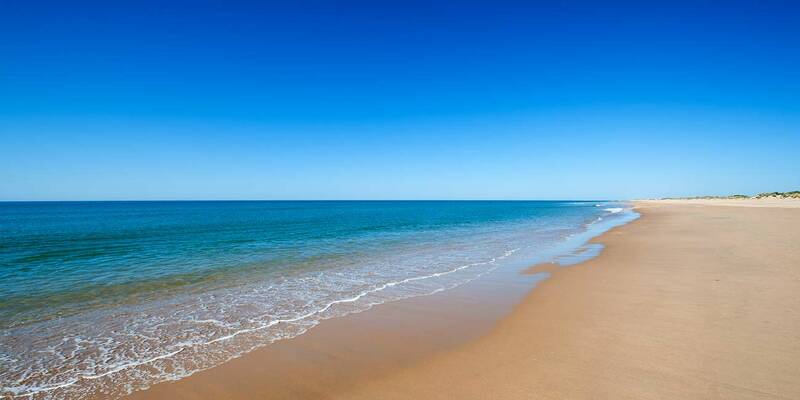 A magnificent 10-kilometre unspoilt beach, which can be accessed by boat from the town’s urban beach. 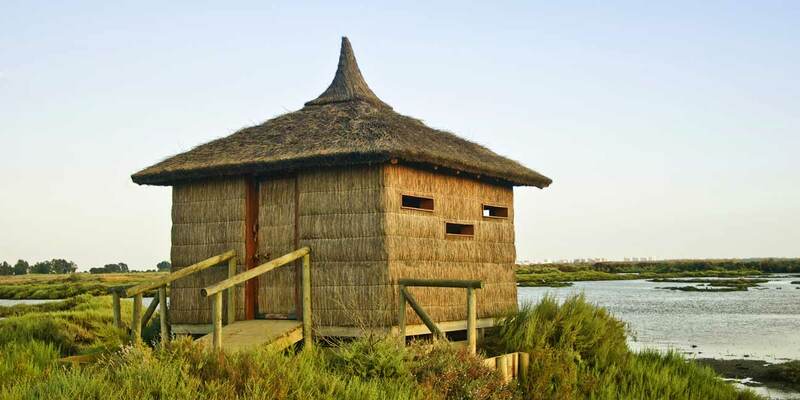 Piedras River Wetlands and Flecha de El Rompido Area of Outstanding Natural Beauty. An area of great ecological and scenic value, which can be explored on several trails. In addition to different birds, this is a habitat of the chameleon. 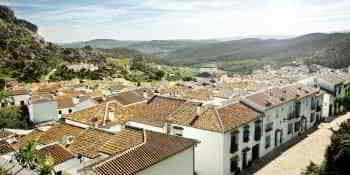 Pinares de Cartaya. 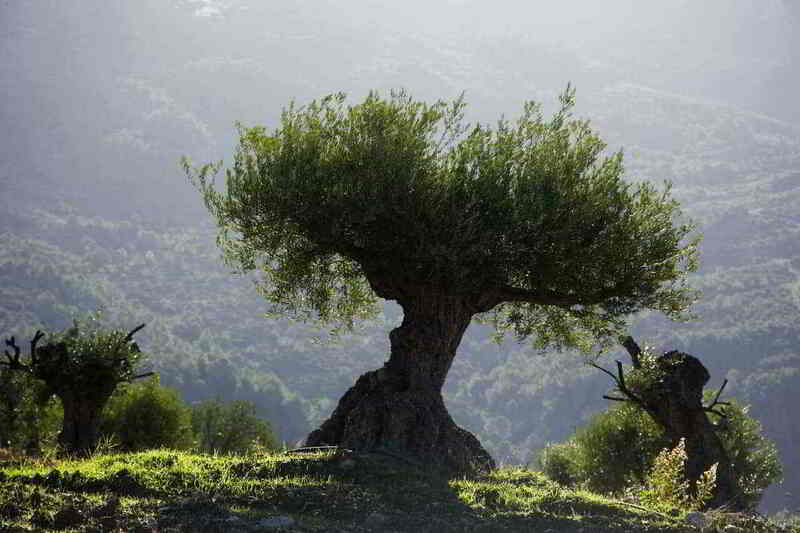 Home to a wide variety of Mediterranean forest plant species, as well as species of birds and small vertebrates. An urban beach with fine sand, overlooking an estuary rather than the Atlantic Ocean. Here can be found an anchorage area for small boats, ideal for anybody who enjoys practising water sports. 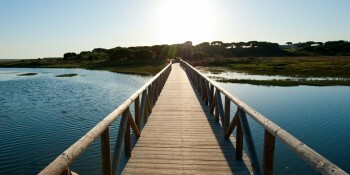 Visitors can also enjoy other beaches in the El Rompido area, such as the huge San Miguel beach and Nuevo Portil beach. Las Tuberas Path. With a length of 4.5 kilometres, this is a circular route. San Miguel Wetlands Path. With a length of just over 1 and a half kilometres, this route has a somewhat pentagonal shape. Piedras River Path. 4 kilometres long. The first part of the path is suitable for people with reduced mobility, and it has 4 rest areas. “La Culata” Gallery Path or Botanical Tour. 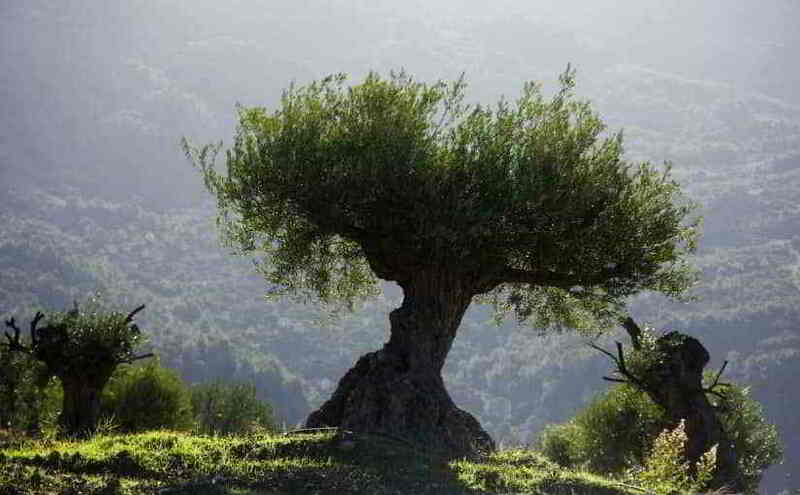 Ideal for learning about the vegetation found in the Costa de la Luz’s coastal areas and forested zones, Huelva. It is 2 kilometres long. 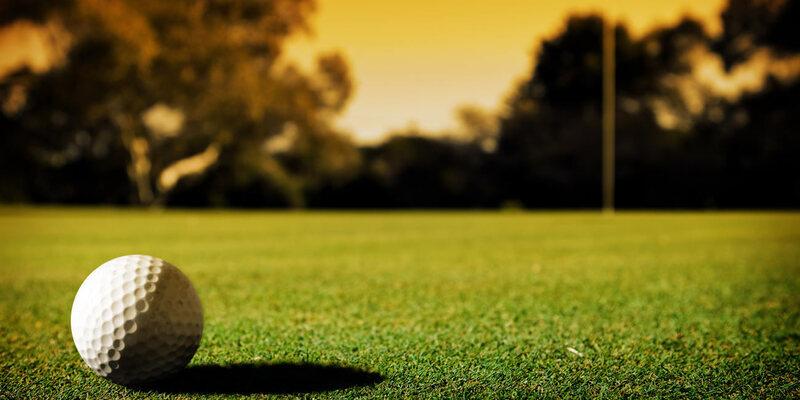 You can enjoy a round of golf at one of Europe’s best courses. 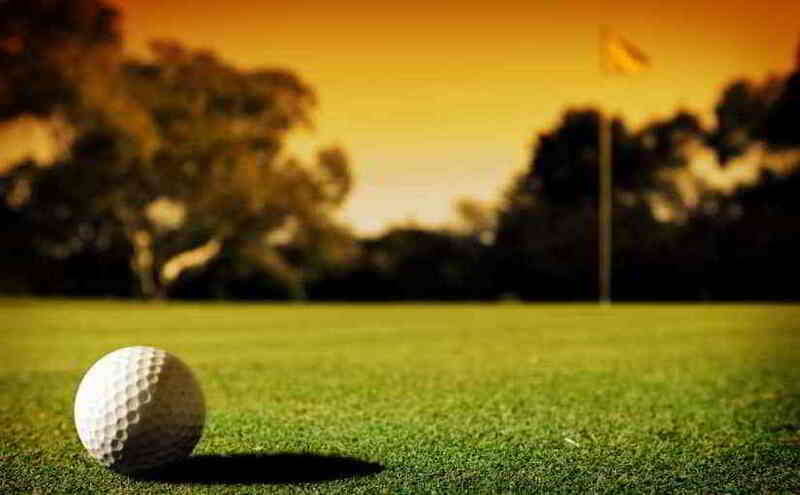 At the so-called north course of El Rompido Golf. Enjoy horse riding on beaches and through wetlands and pine groves. Practice water sports from the El Rompido Marina and the El Rompido Fishing Port next to the fish market. For speed lovers and adrenaline junkies, El Rompido has the Cartaya Beaches – Cartaya Karting Club. A track measuring over 1000 metres, with bar-restaurant, boxes, a shop, workshop, control tower, VIP areas and parking. And if you’re here for a family holiday, there’s nothing better than a visit to Parque Aquopolis. This water park features attractions for all ages and tastes. 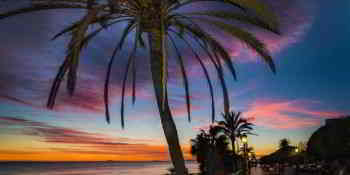 Numerous bars and restaurants can be found in El Rompido and its surrounding areas. 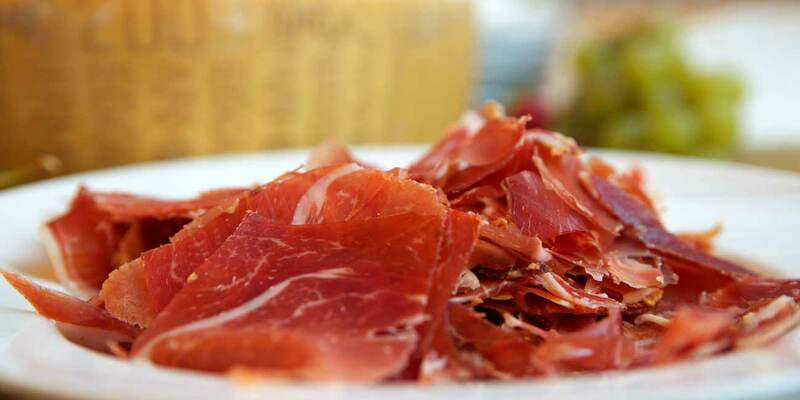 Its tapas and menus are created from highly sought-after products from Huelva’s coastline and fields. You must try the famous white shrimps, Jabugo ham, as well as all kinds of shellfish and other seafood. Here can also be enjoyed dishes created based on game, strawberries, figs and nectarines. All of these delicacies must be washed down with fine Huelva wines. Particularly worth sampling are those made by wineries using the traditional method, known as “Zampuzos”. If you’re visiting El Rompido during Easter Week, make sure you try the traditional Easter Cake with cider or almonds. The El Rompido Lighthouses. The old lighthouse was built in 1861 and ceased operations in 1976 when the new one started to operate. San Miguel de Arca de Buey Castle. The ruins of this castle form part of Fuerte’s El Rompido Hotel Resort. Tavirona Bridge. An old iron bridge over the Piedras River, that used to carry the Huelva to Ayamonte railway line. Nowadays it can be crossed on foot, by bike or on horseback. Moorish Aqueducts. 15th and 16th century installations used to collect and distribute water. The Mogaya and Dehesa aqueducts can be visited. There are plenty of places all the way along Cartaya’s coastline to enjoy magnificent panoramas of the district’s extraordinary nature. The Nuevo Portil lookout points, right next to the road, are among the best. The Tendal and Carbón channels. 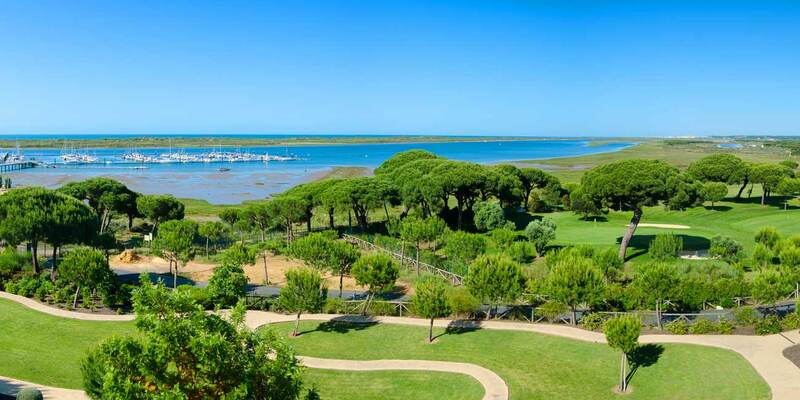 El Rompido is located 99.6 kilometres from El Faro Airport (Portugal), along the A-22 road; and 130.2 kilometres from Seville airport, taking the A-49. 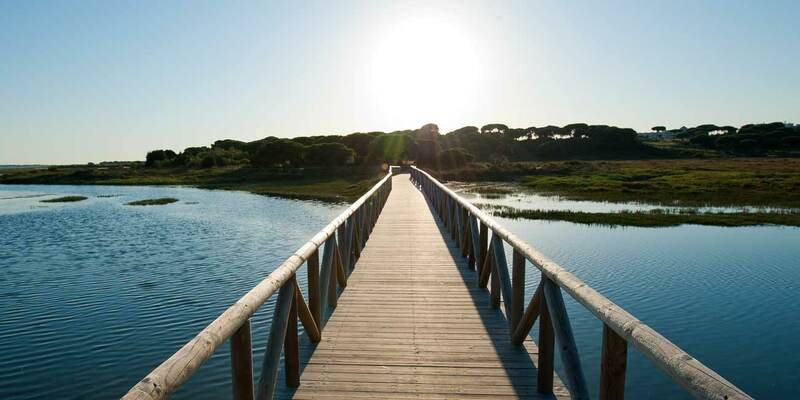 From among the nearby places of interest that can be visited from El Rompido, we recommend the city of Huelva, the Doñana National Park and the Hamlet of El Rocío.